The most important building project of this year has gotten underway in Shizuoka, Japan. 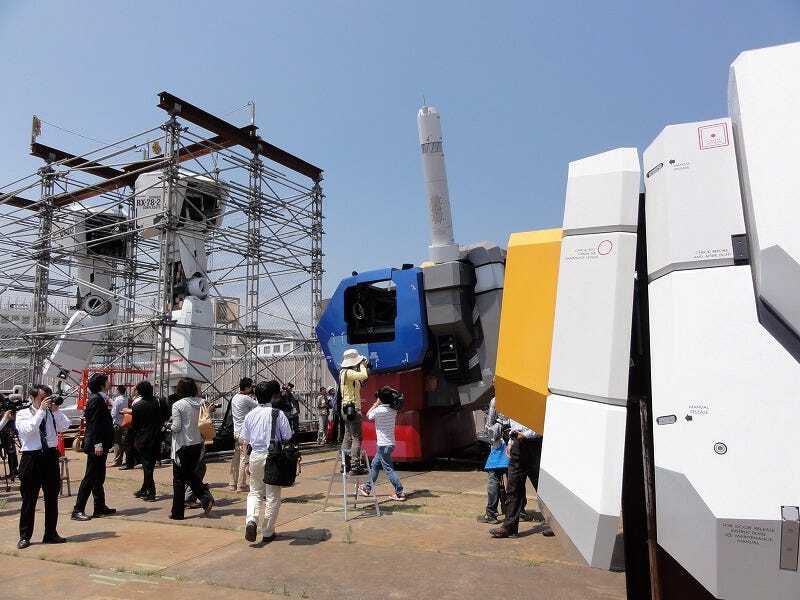 Construction on the life-sized Gundam statue is underway, reports Japan Today. The 18-meter mecha will carry a Beam Saber and be erected near JR Higashishizuoka Station. It will mark the 30th anniversary of the release of Gundam plastic models. It will also mark general awesomeness. The Gundam plastic models are manufactured at Bandai's Shizuoka plant. Previously, the construction site was blessed by Shinto priests. The Gundam will be completed on July 24.